Our interpreters are extensively trained, accredited experts. 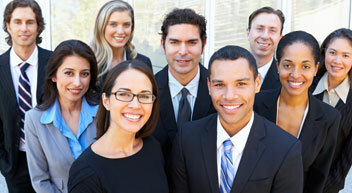 They are experienced in taking care of virtually any medical, business or government situation. They know what they are doing. Accurate interpretation means that they will make sure to interpret the meaning of what you are saying, not just the words. This way, your message will be conveyed completely and clearly. And to ensure accuracy, they interpret in their native language only. So they are completely familiar with the language and idioms. Our translators are not only language professionals but are also well educated in areas such as healthcare, legal, technical and more. They are committed to continuously upgrading their language base in order to stay on top of the most current terminology in their fields of expertese. Our translators always work as a team on each translation assignment. All translations are proofread. Having both translators and proofreaders for every language ensures that errors and omissions are virtually impossible and that you are provided with and accurate translation, each and every time.